Papaya has so many health benefits.It is excellent source of fiber and rich in vitamin A and C.
In a every day health papaya works magic on developing the immune system and preventing the recurrent colds and flu. It also boosts the milk production in nursing mothers.So it good to take the papaya once in a week. Papain is also being studied for relief of cancer therapy side effects, especially relieving side effects such as difficulty swallowing and mouth sores after radiation and chemotherapy as well as boosting up the immune system and helping body to fight the cancer. Dry roast item given under to grind and let it cool down. Grind it along with small amount water and salt as a fine paste. Heat oil in a pan , add mustard seeds once splatter add the ground paste. Let it cook until the sides separate from the pan. 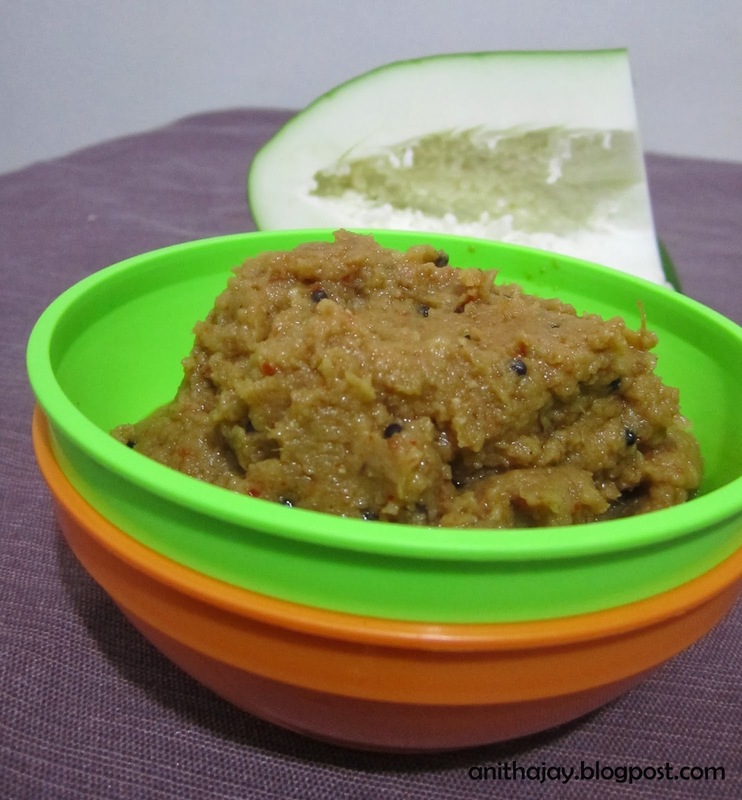 Thogayal with raw papaya makes me hungry,delicious they are. Wow...love its texture..love the clicks too!